Sanitisation of inner surfaces of air distribution ducts, CMV, fan coil units and ATU. 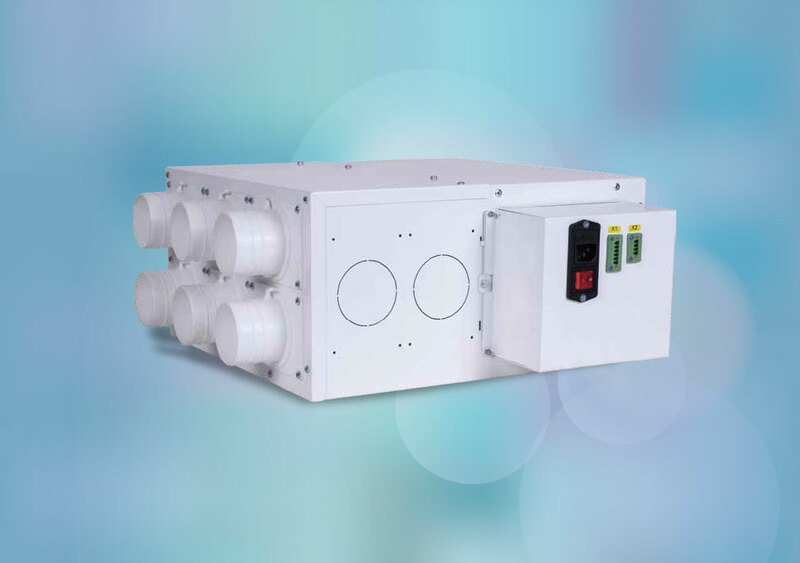 Jonix inside devices prevent the formation of chemical and biological contaminants (moulds, bacteria and legionella) on inner surfaces of distribution ducts and air treatment machines, and in the surrounding air. Sanitisation takes place continuously, thus preventing dust deposits from becoming the ideal substrate for the development of mould and bacteria. 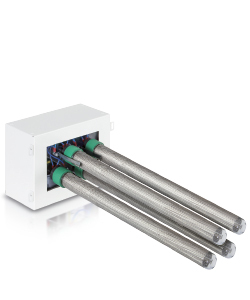 Jonix Inside are decontamination devices that feature essential lines and use cold plasma technology to eliminate bacteria, mould, viruses, pollutants and odours from piping's inner surfaces, air treatment units and controlled mechanical ventilation systems plenum. Air contamination in air-conditioned environments can be caused by the bad maintenance of the aeraulic system. -The danger of chemical contamination from the build-up on instruments of contaminants coming from outside (through an external air intake) and from inside the building (through the recirculation circuit). 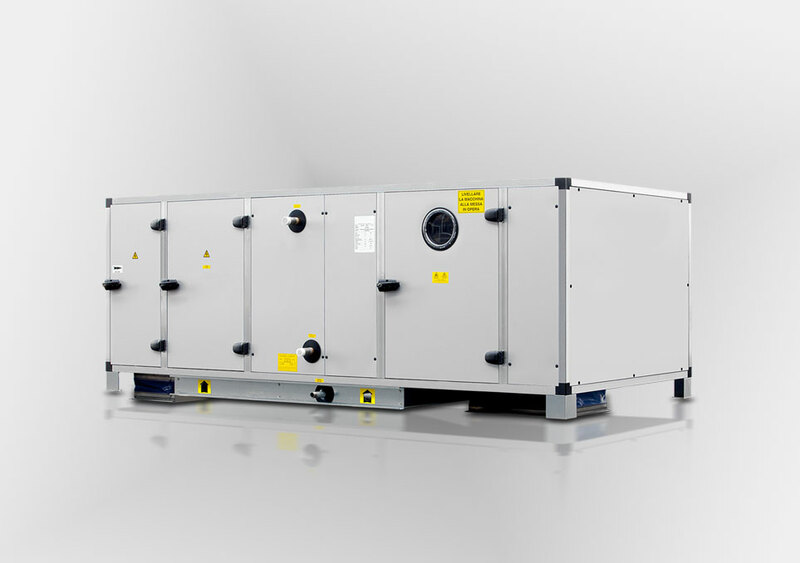 -The microbiological contamination caused by the proliferation of microorganisms: bacteria and viruses, mould and yeasts, for which the dust deposits are the ideal substrate for diffusion. 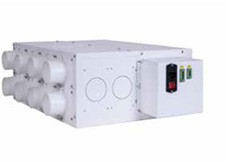 Jonix inside devices guarantee the introduction of good air inside the rooms. 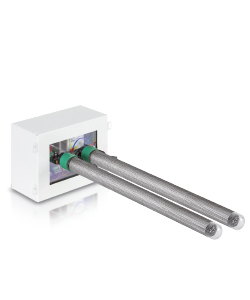 They are compact, modular and easy to install. 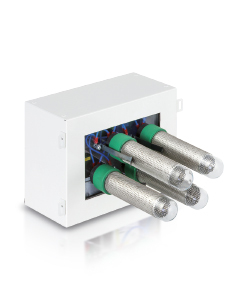 Designed to fit all plants, even existing ones, and to be installed in small spaces. 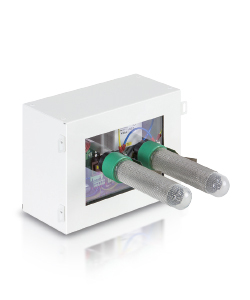 Depending on the needs of the plant, Jonix inside devices can be integrated both during the construction stage and in existing plants. In aeraulic ducts, they can be easily fixed to the wall (in horizontal or vertical position) and to the ceiling. In system components, the housing should be agreed with the builder. 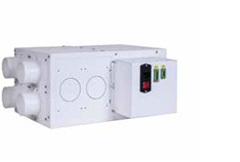 They are available in different models and sizes and can be dimensioned according to the air flow. Cold plasma is a physical phenomenon generated at room temperature. Plasma is an ionized gas consisting of various electrically charged particles: ions, atoms and molecules of organic and chemical origin that collide with each other producing oxidizing species. It is considered the safest process to oxidise and decompose pollutants; the process is scalable, according to the the sanitisation requirements. 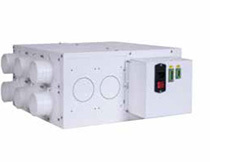 Air sanitisation devices Jonix Inside with NTP technology (Non-Thermal Plasma) are used for the sanitisation and decontamination of air and surfaces in all aeraulic systems. Given the recent regulations on construction and the longstanding practice of using controlled mechanical ventilation in architectural design (CMV), in collaboration with ECOCLIMA (link to the SITE) JONIX has created, a cold-plasma sanitisation and decontamination module for the purification and decontamination of aeraulic ducts, designed to be easily installed wherever you want to prevent or eliminate the formation of bacterial colonies on the surfaces of pipelines.